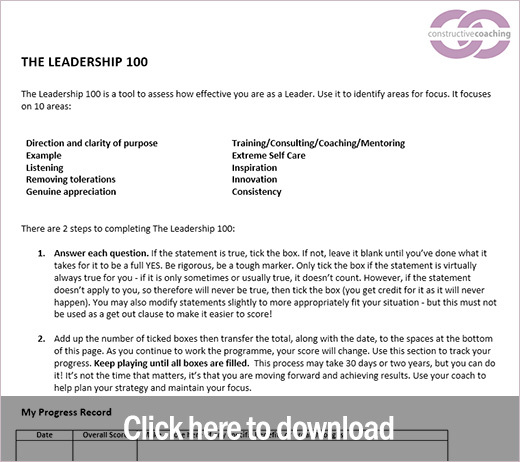 The Leadership 100 is a tool to assess how effective you are as a Leader. 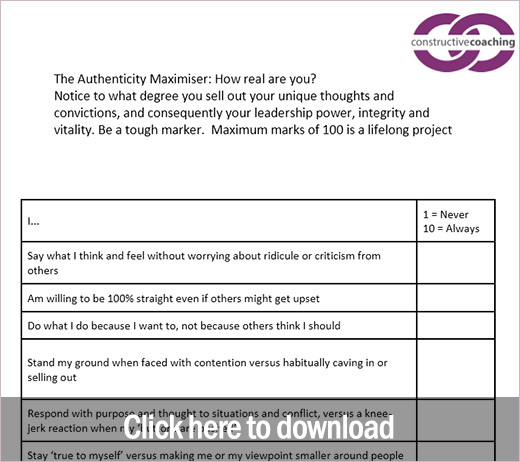 Use it to identify areas for focus and the conditions you need to create. 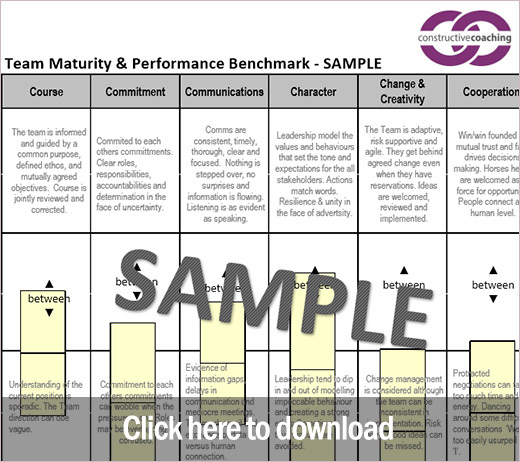 Measure to what degree you sell out your unique thoughts and convictions, and consequently your leadership power, integrity and vitality..
Use the 6C’s Benchmark to understand the level of maturity and capability of your team. Use this at collaborative team meetings to ensure the relationships are thriving (versus surviving) and you are tackling the tough issues. 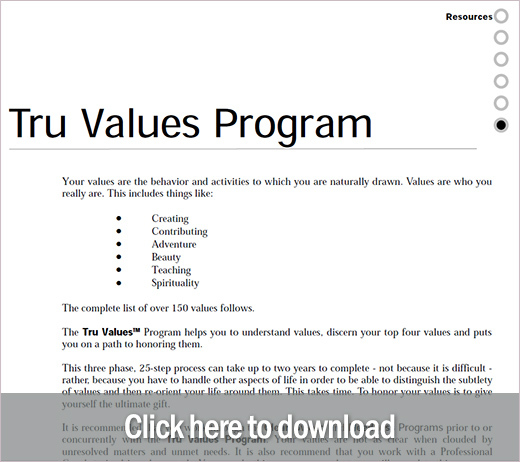 Discover your hard wired values and orientate yourself around them. 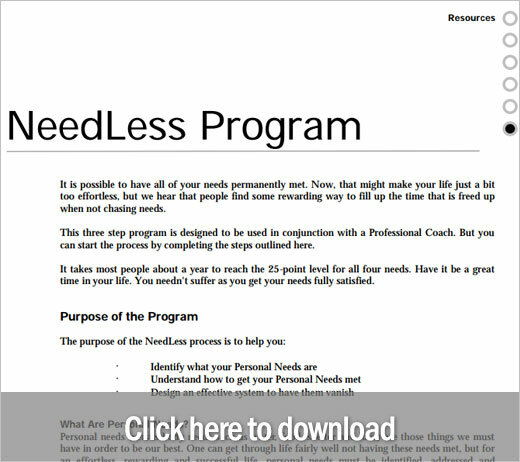 Identify and understand your personal needs and how to get them met.